While I have shared many of my thoughts and opinions on Finnish Education systems, I have not, as yet, shared my actual research. I did not think it was finished or perfect and so I kept the project to myself. My four short months in Finland were not suitable to produce the type of research I wanted, but it was enough to give me an overall picture of the problem, which you can explore by reading my report as posted above. The purpose of this Fulbright Grant was to give girls the confidence in their abilities to think and express themselves mathematically. My objective was to study the cause of the widespread gender disparity in mathematics education, learn best teaching practices from Finland, a country internationally acclaimed for supporting female development in mathematics, and create a stateside program that empowers and supports girls and teachers within the mathematics field. My time in Helsinki was spent studying how Finland’s school systems teach and train young girls and their teachers to be confident in mathematics. One of the main reasons girls struggle with mathematics is due to their crippling fear of being wrong. This hesitancy to take risks is a cultural issue that is fueled by certain educational practices. I elaborate on this psychological phenomenon in more detail in the report. I also discovered that girls learn to have a negative attitude towards the subject from parents and sometimes even teachers who themselves suffer from math anxiety. I desired to learn how to create a positive learning environment that allows girls to feel safe, work together, take risks, and learn in a way that will empower them to think mathematically. I believe that lack of confidence in mathematical ability is the biggest obstacle to female success in the mathematics classroom. I had several theories as to how Finland combated this fear and disdain for mathematics. My hypothesis was that it was a combination of classroom environment, cultural biases, learned math anxiety and teacher training that contributed to Finland’s success in promoting female achievement. I discovered that one of the largest contributing factors to student attitude towards mathematics was a teacher’s own opinions, attitude toward and ability in mathematics. Female students are more perceptive and aware of others feelings and attitudes. Many female students have been trained to believe that math is difficult,tricky and obstinately rigid. Female students are not taught to think of math as the beautiful, fluid and flexible science that artfully and creatively explains the world around us. Finland has a lot of great things going for its education system. It provides fair equitable education to all students. They also do not over stress their students and have truly mastered the concept of “less is more” which I wrote about earlier. They are able to achieve great things with fewer formal lessons and classes. Their kids are not over worked to the point of exhaustion or surrender. Finland has trained its students to be independent self-motivated individuals. However, when discussing female achievement in mathematics, I am not sure that Finland has the overall answer. While Finland’s low stress, slow paced classroom environments give girls overall less anxiety and apprehension towards the subject, I do not think they are actually out performing highly motivated U.S. Students. I suspect that the Law of averages is allowing Finnish students to stay on top of PISA scores, which I have explained in my blog post about The Three Real Reasons for Finland’s Success. Everyone in Finland does well- a little bit above average. Yet very few do extremely well (by American standards anyway). On the flip side very few fail either. Finland has found a nice sweet spot where everyone can learn and achieve. However, few are being pushed to reach his or her highest potential either. Finland’s collective average is high because everyone does at least okay. Through my observations and interviews I began to feel as if instead of discovering an unusually high level of female achievement in Finland I was actually uncovering a lack of male achievement. Globally, the difference in gender achievement in mathematics is at the high end of the spectrum. There are the same number of girls and boys struggling with mathematics at the low end of the achievement spectrum. Males tend to be the most gifted mathematically and that high achievement in math is not to be found in Finland. I did not find mathematically gifted and talented males or females in Finland. The Finnish students are simply not pushed to reach those extremes. And so, without the usually highly gifted few male to bring up the male average, we see the highly motivated hardworking girls take the lead for its country. This is perhaps something Finland needs to further explore. The below PDF was my research report submitted to the Fulbright department. I am not oblivious to the fact that it isn’t perfect research. I need to do so much more work in order for it to be complete and publishable. My vanity was perhaps why I waited so long to share it with you, but I decided it was better to share than to keep to myself. I hope to one day continue this research, but for now this will do. I can’t find the “Less” in the Middle of so much “More”. I’ve not written much since I have been home from my Fulbright experience in Finland where I became the champion for the Finnish concept of “Less is More“. The truth is I quickly realized that I couldn’t make the Finnish “less” work in the middle of all of the American “more”. Within weeks of returning from Finland feeling fresh, rejuvenated and free of business, I found myself more committed, more scheduled, and more stressed than ever before. I got completely sucked back into the outrageously busy lifestyle of the Typical American. When I returned I was simply too occupied and drained mentally and emotionally to write. I didn’t have the time, energy or the stillness required to produce good and thoughtful writing. The days of my peaceful and quite Finnish lifestyle full of self-reflection and introspection were over. They were replaced with days of my to-go-coffee, 10-minute lunch breaks and penciled in meetings. Forgetting everything I loved and observed in Finnish classrooms, I fell right back into the swing of the American teacher lifestyle. Each day I have 192 students, 7 classes and high expectations and demands. I became consumed once again. I was putting in 12-hour days filled with grading hundreds of tests and assignments. I quickly realized that the Finnish mentality does not work in our American schools. I tried some Finnish classroom ideas on my students. I tried to ease up on the homework assigned. I tried to adopt the “less is more” concept to my teaching and my classroom, but it did not work. Our Society has created a structure that is too integrated with our competitive culture for the Finnish mindset to be effective. My 7th grade students didn’t know how to adapt to a school mode based on less structure, less competitiveness and less formal accountability. And if I am being honest, I didn’t know how to adapt my teaching either. It took me all of three hours back in the school setting to feel the weight of the substantial curriculum I was expected to cover in a year. I forgot how much our 12-year-old students were required to learn in only a few short months. I soon understood that a Finnish pace was not going to cut it in our results-centric culture. If I want my students to succeed in our society I would have to pick up my pace. I would have to do more, not less. I am ashamed to admit how quickly I relapsed back into the nasty American obsession with testing and results. At the end of the day, the heart of the American spirit is competition. Those who succeed in this country have worked the hardest and have pushed themselves to their highest levels. They really have done more, not less. As teachers we are expected to demand excellence from our students and push them to compete to become the best. This mentality is non-existent in Finland but also impossible to remove from American education. Our students are truly remarkable. What we expect and demand from them really is too much. They have 7 to 8 classes a day, homework, sports practice, violin lessons and are also expected to get straight A’s and maintain a normal social life. These are impossible standards for most adults, let alone 12-year-old kids. I often feel guilty about pushing them so hard. The new standards expect my 7th graders to think and reason like PHD students. I am expected, no demanded, to lead them in that thought process regardless if they are developmentally ready for such advanced level thinking. The standards seem impossibly high. Yet I am reminded daily that I preparing them for an American work force that demands and expects too much of them as well. It is our culture. It is our identity. Heck, It is the American dream. We taught to believe that if you work hard enough, and do and accomplish enough you will eventually rise to the top. The top of what and for what nobody knows. But the top is the best. Right? Maybe Not. But this mentality exists so permanently in our culture that trying to remove it completely from the classroom would do our students a disservice. If they are going to succeed in our society, they have to learn to cope in high stress situations. They have to learn to aim high and work hard. As Finland demonstrates, this ultra competitive results driven philosophy on education is not necessarily the best method. I really do believe in the Finnish mindset of Less is More. I stand by what I wrote last spring. The problem is that until we change the societal expectations and our broad education systems, this Finnish mentality will not work. The state, nation and even the parents of my students demand I push students to reach their fullest potential. I am not a good teacher unless I get them to work hard and push them to be their best. In the United states we do not teach to the middle (the universally achievable average) as Finland does. Instead of teaching to the middle like Finland, our standards aim for the very top level of possible performance. We put expectations that are so high that only a select few are capable of reaching. The result is we have a group of truly elite scholars and a group of those left in the dark. Education mirrors society and while we are very good at getting a big group of students ahead in life, we also leave behind those who can’t cope with our demands and expectations. I had huge hopes to remedy this sad truth. But I failed miserably. I tried to incorporate the Finnish mentality I had observed in Finland to my classroom. However I, being American through and through, soon felt like I was failing my students. I had this overwhelming feeling that I was a bad teacher for not pushing and challenging them to think more critically, do more problem solving and cover more content and problems. I really felt like I was not doing my job and that they were not learning enough. And so, like a fraud, before I knew it I had abandoned my mantra and dove headfirst back into the “More is More” mentality. I simply don’t know how to make the Finnish mentality work in the midst of our American system of high stake testing and competition. And so I remained silent. I stopped writing. I have lost the Finnish “Less” in the middle of all of the American “More”. I am not sure how to find the “less” here in the midst of the swamped, hectic demands of our society. And in some ways I enjoy my teeming American “More” abuzz with excitement, engagements and achievements. And at the same time, there are days I yearn for Finnish simplicity and quiet calm. And so I am stuck here in the middle struggling between two conflicting philosophies. I understand both sides of the road and I am confused on how to best navigate. I believe in everything I stated before, Finnish success really is based on the “Less is More” mentality. I simply don’t know how to function as a Finn here in my American classroom or in my American life. It feels like a fight against a strong current. Right now I don’t have the answers, I really do feel quite stuck. In the mean time I will try to find a way to incorporate a little more “less” in this world of so much “more.” Until then, I am here writing my thoughts and trying my best. Thank you for listening. I’m a Teacher- What I learned from my Fulbright Experience. 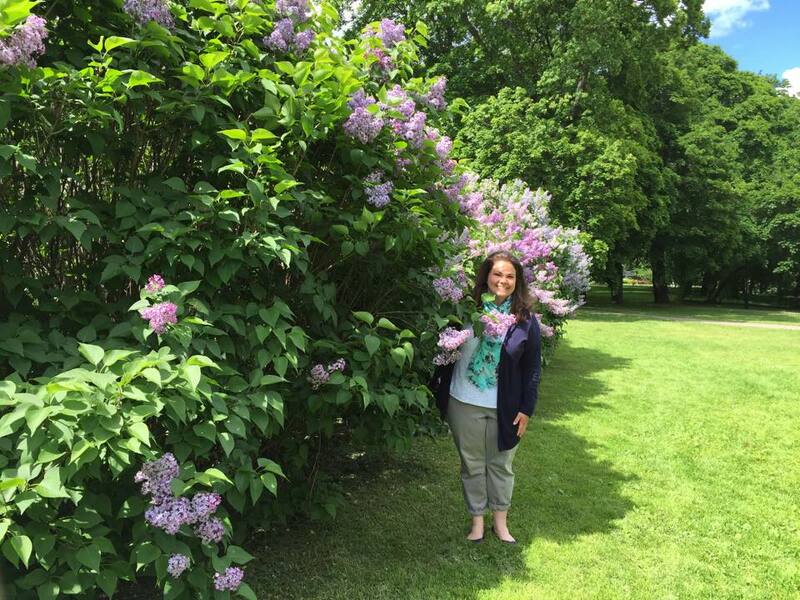 When I left for my Fulbright experience at the University of Helsinki I fully expected the experience would change the very course of my life. I had begun to stagnate and feel restless in my teaching position. I had always loved my job as a teacher but after an unusually difficult year, I began to wonder if it was time for me to move on and pursue other opportunities. When I received word that I was selected to receive the great honor of being a Fulbright Distinguished Teacher, I saw this experience as an opportunity to take a breath, step back from teaching for a time, recollect and reevaluate my life. I felt like I was approaching a symbolic fork in road of my life. I was certain I would return from this experience a changed person with a renewed sense of purpose and direction. When I left for Finland I prayed I would gain a clear picture of what I should do next and how I was to move forward. In many ways I saw this experience as a stepping-stone in my path towards a formal research career. I thought perhaps earning a PHD in education would appease this restless desire growing inside myself to do and accomplish more in my life. I felt like I had more to give and it seemed like the logical next step. I could see myself, armed with the power of the Fulbright crest gleaming on my resume, ready to enter into the world of formal academia and research. I had great dreams and plans to go get my doctorate at an impressive university, like Stanford, Harvard or Yale. I had decided I would spend my days being important, highly admired and respected. I was ready to start an impressive research project that would prove my intelligence and importance to the world and springboard me into a life of lectures, conferences and publications. However my time spent in Finland taught me that, while I could be successful in the world of formal academia, it was not where my heart resided. I learned quickly that my heart was not in formal research. My heart is and will always reside in the classroom. My most favorite days in Finland were the days I spent playing with the 3rd graders at recess or teaching my group of 7th grade Finnish students the intricacies of geometry. I am so thankful for the opportunity I got to co-teach a 7th grade geometry course at an English speaking school in Helsinki. I looked forward to this weekly class and it became one of the highlights of my experience. Not only did it give me a very valuable glance at the teacher’s perspective of Finland’s education system, it also demonstrated my need to be in front of a classroom. When I was observing other Finnish classrooms I often felt a surge to stand up and teach. It was hard sometimes to not step in and interject some of my thoughts on a certain topic. I also kept thinking about the amazing ways I would improve my own teaching when I return to my school this fall. This experience, taught me that my passion resides in front of a classroom. I am a teacher. I am a practitioner. I do not belong in an office reading studies, collecting data and analyzing survey results. I belong in the classroom. I come alive there. When I attended formal doctoral lectures, or attended PHD seminars and conferences I learned valuable information but I also felt restless and confused. I met some very intelligent individuals with impressive theories and theological arguments. I learned a lot of facts but nothing that seemed applicable or helpful to an actual living-breathing classroom. I often sat there pondering the applications of these theories, projects and papers. I wanted to see them put into action instead of being merely discussed and debated. I realized there is a huge difference between educational researchers and practicing teachers. Many educational researchers had spent years studying education, but had never actually taught a classroom of students. And while they have many theories (some good, some bad) about how teaching should be done, they have never experienced the joy of actually watching their students learn and grow throughout the course of a year. Researches don’t know what it is like to be entrusted with 180 beautifully unique and talented individuals whom I write on my heart each year. They don’t know what is like to have these students consume my thoughts and actions. Yes, as a teacher I stress and constantly think and worry about my students. I pour my heart and soul into them and serve them with everything I have. It is stressful, it is time consuming and it is hard. But I love it. At the end of the day the research may not have the stress, the anxiety and the pain of a practicing teacher. However, researchers are also missing out on the joy of knowing they are helping young individuals become who they are destined to become. I am so thankful for the many experiences I had during my time in Finland that reminded me of that joy and the passion I have for my chosen profession. I am a teacher, not a researcher. That is what I have learned and knowing that I am doing what I am supposed to be doing with my life is an invaluable gift. I cannot wait to start applying what I have learned about education in Finland to my classroom. I also learned that I am a writer. I have something to say and people who are willing to listen. While In Finland I started writing about my experiences in my blog. This blog usually has a small readership that extends only to my mother and a few dedicated friends. However suddenly, because of this Fulbright experience, people became interested in what I had to say and I was able to share my thoughts and experiences in Finland with several thousand people. Because of this incredible exposure, I was able to meet with and share educational ideas with people from all around the world. My article was published in an Australian Education journal, was listed among the top 100 educational blogs in the U.S. and was also mentioned in Finland’s most prestigious and wildly circulated newspaper. My article about Finnish education has now been translated into Portuguese and Korean and is being distributed as part of teacher training system at a Korean university. I have had so many doors and opportunities opened and presented to me because of this Fulbright experience. This has taught me that I do not have to be in the world of formal academia to have a voice. I can express myself and change the world by being myself, doing what I love and sharing my experiences and ideas with others. I can teach and make a huge impact on both my students and the education world by sticking to my talents. I am a teacher and a writer and this experience in Finland has taught me how to balance both of those skills. 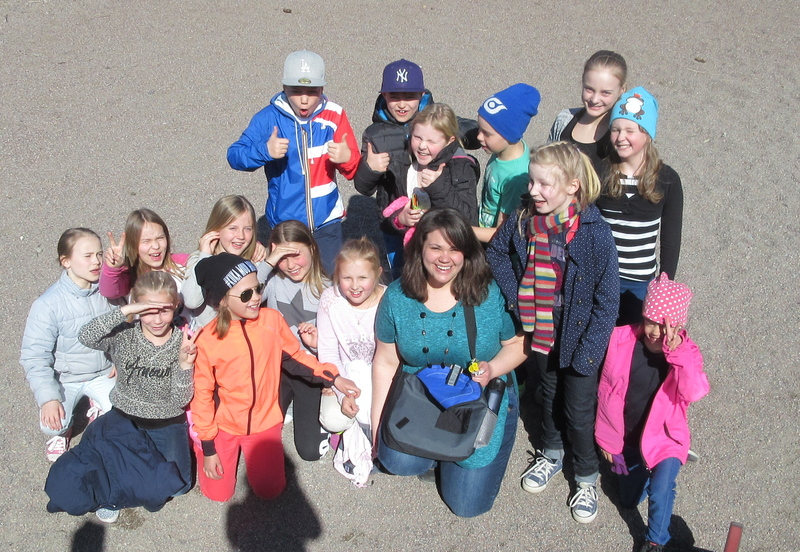 I hope to take what I have learned in Finland and become an even better teacher to my students. I also intend to continue to write about education and hopefully promote educational change and reform in my school, state and perhaps one day my country. I believe, however, the best way to do this is to remain in the trenches so to speak. I do not feel like a higher degree is in the cards for me at the moment. Instead I realize I can make the greatest impact in front of the classroom and in the hearts of my students. The future is not guaranteed. Masterpieces that have lasted for centuries, that have survived World Wars and revolutions can crumble in an afternoon. This is why I go. This is why I explore. Not "someday"- but now. This is why I take advantage of each and every opportunity. It is easy to put things off. It is tempting to say one day I will see the Notre-Dame Cathedral.... But nothing is certain. Nothing lasts forever- even Pillars of Stone. Live life while you can. Marvel at the beauty this world has while it lasts. Go. See. Taste. Explore. Live. Marvel. Share. Love. Life is too short. There is too much beauty to be missed in this world by looking down. Cathedrals were designed to lift our gaze to the heavens. They inspire us to look above ourselves and to search for a higher power and a higher beauty. The beauty of the Notre- Dame Cathedral demanded that we take a moment to gaze up and know that we are not alone. Today the world lost something truly precious. My heart breaks for the people of Paris who lost a part of their identity this afternoon. However, I hope today, this Cathedral will once again inspire us to look up from the ground and see the beauty around us and in each other. 11 Ways Finland's Education System Shows Us that "Less is More". Finland: A Society of Trust. The three REAL reasons for Finland’s high PISA scores. That time I visited 30 countries before I turned 30 years old. I can't find the "Less" in the Middle of so much "More". The views expressed in these blogs are my own and do not represent the Department of State or the Fulbright Program.